This is the penultimate Repairman Jack book. Wilson is very close to wrapping things up before the end of the world as we know it. The story seemed a little rushed. 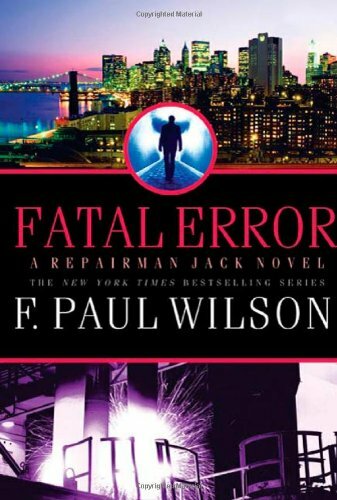 Don't get me wrong, Repairman Jack remains one of those rare characters who is always fun to read about. It's just that maybe I was a little let down because the story is coming to an end and because the usual bad guys lack a lot of their mystery and menace. Jack is called to help an Arab-American software engineer, Munir, who is being forced to put code on his pc by a 9-11 obsessed nutcase who has kidnapped Munir's wife and child. The kidnapper has sent "proof" of his viciousness and threatened worse mayhem should Munir call police. Jack doesn't have any more cases that don't touch on the supernatural. He's now a key player in the unending war between two multi-universal entities known as the Ally (indifferent to humanity) and the Otherness (viciously hostile to humanity). The Ally means to turn Jack into a possible replacement for its previous Champion, Glaeken. When tricked into believing that the Otherness was defeated on Earth, the Ally withdrew its powers from the millennia-old Glaeken and let him age normally. But the Otherness' Champion on this planet, Rasolom, wasn't actually killed. Rasolom is determined to win. He intends to destroy the incarnate Earth spirit, a goddess in human form, known as The Lady. Should the Lady disappear, the Ally will believe that the planet has no sentient life and withdraw completely. The Otherness can then invade with no opposition. Rasolom works in secret since he still believes that Glaeken is just as powerful as he is and will "kill him" again if he's foolish enough to work openly. Thus, Rasolom pursues a very complicated scheme though varied secret organizations (which are obvious parodies of Scientology, Fraternities, New Age groups, Fight Club and Masons) in order to kill The Lady. Some of Jack's friends are unwillingly and/or unwittingly involved. When Jack finds out he wants to take the fight directly to Rasolom but he's counseled against this by The Lady and Glaeken, who dare not let Rasolom know just how weakened Glaeken now is. In other events a woman gives birth to a very special and rather disturbing "baby" that Rasolom has plans for. This was okay but not super special. 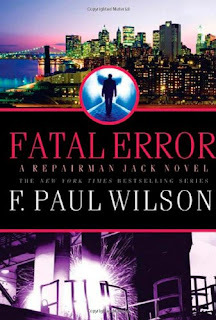 In the earlier series books I enjoyed reading about Jack juggle normal "fix-it" cases contrasted with those that brushed up against the secret history of the world and magical elements. That's gone. This book can be read on its own. It may get you interested in the previous series installments. It was a quick read. Jack is a walking libertarian trope who only has compassion for a few special folks-primarily his fiancée Gia and her daughter Vicky. As usual, a few very stupid people attempt to harm those ladies. And as usual they find out the hard way what an insanely bad idea that is. You don't pull on Superman's cape, you don't spit in the wind. You don't pull the mask off the Lone Ranger and you don't mess with Jack's family. 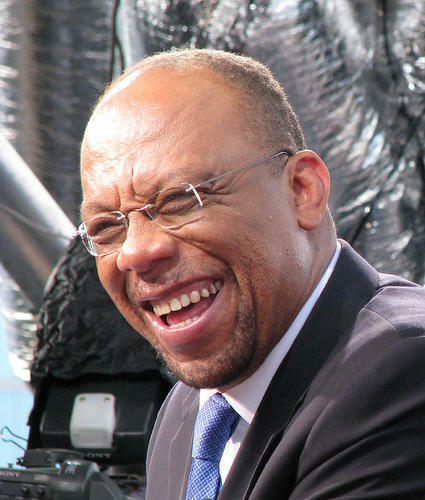 Eugene Robinson is best known today as a Pulitzer Prize winning columnist for the Washington Post and as a contributing voice to various MSNBC shows. He is also an author, as are many talented columnists. 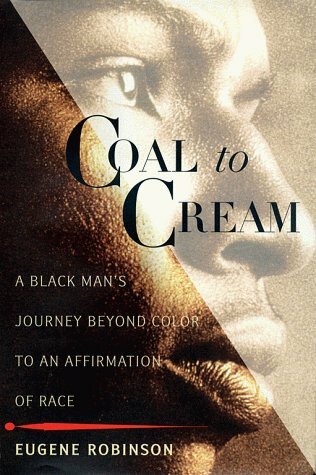 Coal to Cream is one of his older books, which is even more relevant today with the demographic and cultural changes taking place in the US. The book is subtitled “..A Black man’s Journey Beyond Color to an Affirmation of Race”. It is almost de rigueur today to scoff at the concept of race as either a biological or cultural concept. The American one-drop rule (hypodescent-especially for Black people) is under attack, not just by increasing albeit still small interracial marriages but also by increasing immigration from people who do not easily fit into or accept traditional American racial definitions. Robinson examines some of this but does so in a very interesting way. 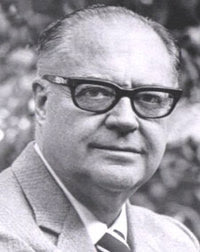 For a period of time Robinson was a foreign correspondent for the Washington Post and lived and worked in various South American countries, including Brazil and Argentina. He looked forward to this for both personal and professional reasons and definitely enjoyed the opportunity to improve his Spanish and Portuguese. A large part of the reason he took this assignment was that he wanted to step away from the poisonous racial atmosphere that he experienced in America. For a short time he found South America to be extremely different. He did not immediately sense racial hostility or feel that he was automatically marked as a Black man. However he had to start to revisit some assumptions about racial differences in South America one day on a Brazilian beach , when curious about racial differences and relations he turned to a Black Brazilian woman and asked her what it was like being Black in Brazil. Surprised (and maybe a little offended?) the woman replied she wouldn’t know because she wasn’t Black. This of course was a shock to Robinson as the woman was more than few shades darker than him and had clearly West African features. When he tried to point out that he was Black and so was the woman she responded that as far as she was concerned Robinson wasn’t Black either and that this wasn’t America. This caused Robinson to go on an internal quest of determining what Blackness meant to him. He sketches many of his experiences in America, some of which are of course still familiar to black people today-being stopped by the police, receiving either patronizing condescension or barely disguised hostility from white co-workers and bosses , but also more positive things like shared history and cultural affinities. Through his experiences in South America, the Caribbean and the UK, Robinson comes to if not quite an acceptance of the one drop rule, an appreciation of the manner in which different historical circumstances can produce different social experiences. These are “real” to the people invested in them even as they may appear ridiculous to people outside of that culture. But then I saw what it meant when black people, looking up from the bottom of a society, lived without a sense of racial identity. I came to appreciate the measure of power and pride they were denying themselves. ..I came to see blackness-blackness as an identity, which I once considered an outdated and irrelevant concept-as something deeply important o me and every other black person in America, and as vitally current. It wasn’t yesterday’s news; it was tomorrow’s. This was a really good book. Robinson is also an U-M alum so of course the book is well-written. This book by Richard Condon (who also wrote The Manchurian Candidate) is probably best known for being adapted into the John Huston movie of the same name starring Jack Nicholson and Kathleen Turner. The movie was relatively true to the short novel but of course in a novel you have a chance to see what’s going on behind the scenes. Ultimately this book is a tragic romance. It’s set in the organized crime genre but that is just window dressing and something of a parody. The Prizzi’s are the most powerful organized crime family in the United States and possibly the world. The Family headquarters are in Brooklyn. The family leaders include the semi-retired and gently maleficent family patriarch Don Corrado Prizzi, his squabbling sons, Vincent Prizzi (he runs the criminal side), Eduardo Prizzi (he runs the legitimate side), Corrado’s oldest friend and counselor Angelo Partanna (he gives advice and handles payoffs) and Angelo’s son Charley Partanna (he is Vincent’s Underboss and brutally loyal and incorruptible enforcer). Behind his back, Charley Partanna is called “the All American hood” both for his incredible fidelity to the life and because of his unusual insistence in self-improvement-he got his GED, takes college classes and did the needed market research to launch the Family into the cocaine business. No one calls him this to his face of course as Charley is the human equivalent of a barely restrained Cane Corso. He can make people shudder in fear just by looking at them. At the wedding of Corrado Prizzi’s granddaughter, Charley Partanna meets a woman who will change his life forever. He falls in love at first sight. This woman’s name is Irene Walker. Unknown to Charley, Irene is actually a contract hitter brought in by Angelo Partanna to do some work while everyone is at the wedding. Later on the fiercely traditional Charley discovers this fact in some unpleasant circumstances while he’s at work. However against everything he’s been taught Charley ignores this portion of Irene’s personality, just as she does with him. The two are in total love with one another and shortly get married. But Corrado Prizzi has another granddaughter, Maerose Prizzi, Vincent’s daughter. A few years before, she and Charley were supposed to be married. The perceptive and proud Maerose noticed that Charley’s heart wasn’t really in it and she took drastic steps to insult Charley and end the betrothal. 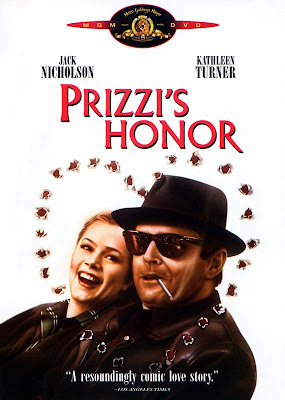 Maerose is the smartest and most vicious of all the Prizzi’s. It’s a source of constant frustration to her that she has to act with feminine wiles instead of masculine directness. Maerose has decided that Charley is the likely heir to the Family throne. She ruthlessly takes steps to manipulate her way back into her father and grandfather’s good graces and onto Charley’s radar screen. Maerose’s actions and the fact that Irene is publicly working in what is considered to be the male arena of contract murder and crime, set up some very tragic events as the story progresses. I liked this book. 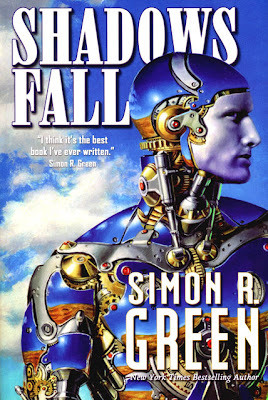 Simon Green is both a favorite author of mine as well as one whom I think has soiled his gift. His later books all read exactly the same, have the same heroes/heroines, thematic concerns and story events almost to the point where you wonder if he’s just doing cuts and pastes and change alls in his novels. Shadows Fall is one of his earlier novels. It was originally published in 1994 and was republished in 2005 after his great success with his other novels. 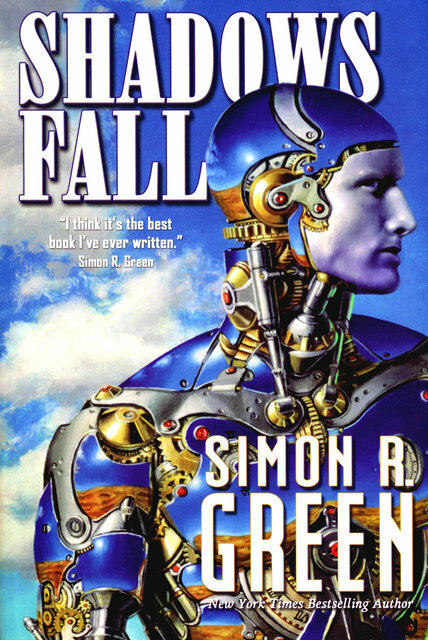 It was exciting to read this because you could see some of the themes and character types developing that Green would use in later books. You could also enjoy a very very different writer than what Green later became. Shadows Fall is MUCH more allegorical and high fantasy than Green’s pulp fiction stories. It’s a side of Green that we haven’t seen very often and one which I hope to see again. Shadows Fall is a town literally in the middle of nowhere. It’s a place where people who are tired of living but not quite ready to die go. It’s a place for losers, misfits, never weres and used-to-bes. But mostly it’s a place where legends and fantasies go to die when people no longer believe in them. So this includes magical toys, talking animals, characters in kids’ stories, rock stars that are losing worshippers, fading demigods, the whole lot. Father Time watches over the town and manipulates the time-space continuum so that Shadows Fall can only be found by those who are supposed to find it. However murder has come to Shadows Fall. Something of great evil is killing off these old legends. It’s up to the town’s mayor, Rhea Frazier and her dead but not gone friend, Leonard Ash, to find the killer. Of course the killer is only a pawn in a greater game, though he doesn’t realize it. This book has the best ending of any of Green’s books and it’s a shame in my opinion that he dropped the style of writing on display here.